Thank you for stopping by The Antenna Farm. We are just an old fashioned Mom & Pop shop, not some faceless huge corporation. Our commitment to you is that we will always work hard to earn your trust and even harder to earn your loyalty. We try to treat our customers with dignity and respect. A little boy get his team jersey. A mom put food on the table. A dad pay the mortgage. A student pay for college. Thank you for supporting small businesses. This model does NOT require software and a computer to program. They are 100% field programmable including all frequencies (136-174MHz Transmit & Receive), tones, channel names, etc. All parameters of this model can be programmed manually in the field. TM-281A Field Programmable VHF Mobile Radio. Note: You will need an antenna that's made for the frequency that you need to transmit on. Also, your antenna mount cable will need to be terminated with a PL-259 (UHF Male) type connector for this Radio. 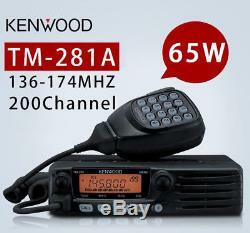 On or off the road, Kenwood's TM-281A is a mobile radio you can always count on. As tough as nails, this MIL-STD 810 C/D/E/F/G compliant transceiver delivers powerful performance, excellent audio clarity, and a host of advanced features. It offers superb operating ease day or night thanks to the large backlit LCD and illuminated keys. So the next time you take off, take the TM-281A. Rugged Construction to MIL-STD 810 C/D/E/F/G Standards. Yes, 42 EIA Tones with Tone Scan function. Yes, 104 Tones with Tone Scan function. Yes, 10 DTMF memories of 16 digits each. Menu System for individual set-up. Variable LCD Brightness with Automatic Dimmer. TX Frequency Coverage - VHF. RX Frequency Coverage - VHF. Less than 3% (300 Hz to 3 kHz). Transmitter Maximum Frequency Deviation - Wide. Antenna Impedance - 50 Ohm. More than 2 W (5% Distortion). Less than 14 A (Hi-Power), Less than 8 A (Low-Power). 160 mm (W) x 43 mm (H) x 126 mm (D) - excluding projections. 2.5, 5, 6.25, 10, 12.5, 15, 20, 25, 30, 50 and 100 kHz. ± 2.5 ppm (-20 °C to +60 °C). 20 °C to +60 °C. 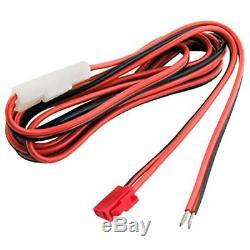 Power Requirement - 13.8 V DC ± 15%. Receiver Intermediate Frequency - 1st IF. Receiver Intermediate Frequency - 2nd IF. More than 10 kHz at -6 dB, Less than 24 kHz at -60 dB. More than 12 kHz at -6 dB, Less than 30 kHz at -60 dB. Less than 0.22 µV at 12 dB SINAD. Less than 0.18 µV at 12 dB SINAD. Less than 0.1 µV. The item "Kenwood TM-281A VHF 136-174MHz 65 Watt Field Programmable Mobile Two Way Radio" is in sale since Monday, October 10, 2011. 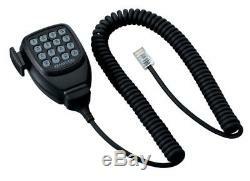 This item is in the category "Consumer Electronics\Radio Communication\Commcercial Radios". The seller is "theantennafarm" and is located in Rexford, Montana. 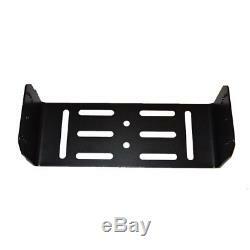 This item can be shipped to United States, Canada, United Kingdom, Denmark, Romania, Slovakia, Bulgaria, Czech republic, Finland, Hungary, Latvia, Lithuania, Malta, Estonia, Australia, Greece, Portugal, Cyprus, Slovenia, Japan, China, Sweden, South Korea, Indonesia, Taiwan, South africa, Thailand, Belgium, France, Hong Kong, Ireland, Netherlands, Poland, Spain, Italy, Germany, Austria, Israel, Mexico, New Zealand, Philippines, Singapore, Switzerland, Norway, Saudi arabia, United arab emirates, Qatar, Kuwait, Bahrain, Croatia, Malaysia, Brazil, Chile, Colombia, Costa rica, Panama, Trinidad and tobago, Guatemala, El salvador, Honduras, Jamaica, Antigua and barbuda, Aruba, Belize, Dominica, Grenada, Saint kitts and nevis, Saint lucia, Montserrat, Turks and caicos islands, Barbados, Bangladesh, Bermuda, Brunei darussalam, Bolivia, Ecuador, Egypt, French guiana, Guernsey, Gibraltar, Guadeloupe, Iceland, Jersey, Jordan, Cambodia, Cayman islands, Liechtenstein, Sri lanka, Luxembourg, Monaco, Macao, Martinique, Maldives, Nicaragua, Oman, Peru, Pakistan, Paraguay, Reunion.